The data suggests that older users are less likely to abandon their previously used apps and pivot to a new platform. Meanwhile, millennials use Snapchat far more than other generations. 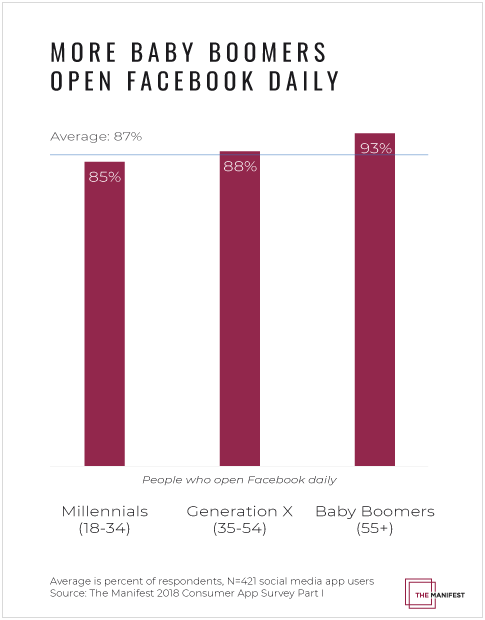 Over 50% of millennial smartphone owners open Snapchat daily, compared to 18% of Gen Xers. Bright colors attract our eyes. In fact, those battling smartphone addiction are recommended to turn their screens to grayscale. Push notifications should be thoughtfully created. Sending too many, or sending ones that are meaningless, is harmful for both the app user and your business. 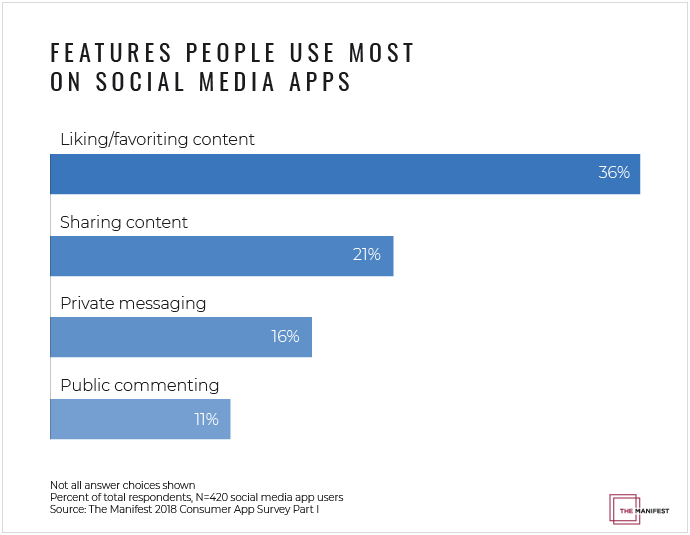 Any mobile app will likely need to compete with Facebook, Instagram, Snapchat and other social media apps for a smartphone owner’s attention. Riley Panko is a Senior Content Developer and Marketer at Clutch, a Washington, D.C.-based research, ratings and reviews platform for B2B services. She conducts relevant research that aims to help consumers enhance their business and select the services and software best-suited to their needs.